A new creation for a lovely client, Vanessa. 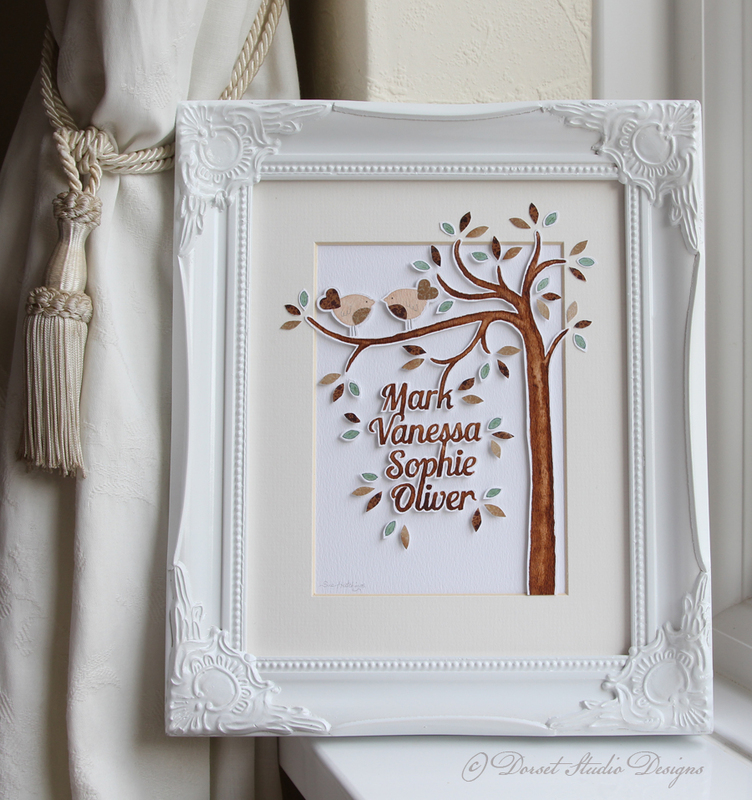 These card cuts have been really popular over the last 12 months, and here is yet another, with the four names of the family, lovingly hand painted, and hand cut on acid free textured card stock, will colour coordinated hand cut leaves, all assembled to give you the finished result, in this case framed in a lovely country style white 8″ x 10″ frame. Great for that special gift, or simply because you want a treasured memento of your family, costs just £57 inc P&P within the UK. Email me or comment here to place an order or to discuss other designs or quotes you may want.